A hostage has been taken in Pakistan; the chances of his survival are slim to none. 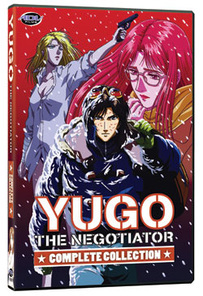 Yugo Beppu, the world's leading private negotiator, is called to the scene by the hostage's daughter to deal with a fierce anti-government faction. Walking a dangerous line between the powerful military and ruthless guerrillas, it will take more than words for Yugo to survive in the blazing desert.